I won the next three awards on July 10th, 2001. Here's another award!! I forgot the url so if you know it email me it please. 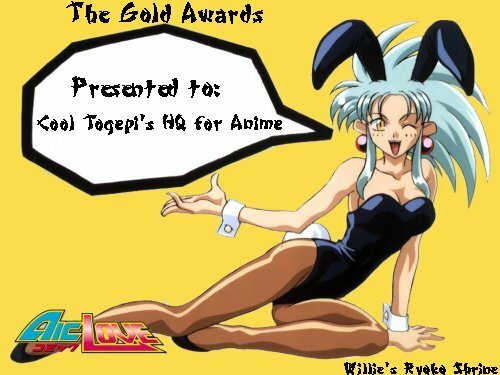 I won the Gold Award from Willie's Ryoko Shrine. The first time I applied I won the Silver Award. Awarded on July 12th. Kl0ude is so cool!!!! 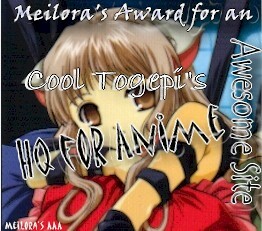 I won this award on April 27th. Thanks Kl0ude!! !